Dr. D'Olimpio was the Medical Director for the Hospice Care Network in Westbury from 1992-1999 and helped develop the Hospice and Palliative care programs for that agency through a significant period of growth and change in the field.. He has lectured about pain , symptom management and Supportive/Palliative care throughout the country , Mexico , Canada and in Europe and has appeared on CNN as a national expert in pain control, as well as the Today show on NBC as an expert in Pancreatic Cancer. Dr D Olimpio received his Medical Degree from the Autonomous University of Guadalajara and completed his studies in the Fifth Pathway Program at the Mount Sinai School of Medicine in New York, and his Internal Medicine Internship and Residency at Mt. Sinai Hospital & City Hospital Center, Elmhurst and completed his Fellowship in Oncology/ Hematology at Montefiore Medical Center and the Chanin Cancer Institute of the Albert Einstein College of Medicine. In 2008, Dr D Olimpio was inducted as a Fellow of the American College of Physicians and in November 2011 was awarded Fellowship in the American Academy of Hospice and Palliative Medicine ; one of only a few Oncologists in the country to hold both fellowships for the American College of Physicians and the American Academy of Hospice and Palliative Medicine. In October, he became included in the Castle Connolly Top Doctors in America listing. "Dr D' OLimpio is someone I look forward to seeing he is such good doctor I teach me so much about my well being I am in good hand he is an asset to northwell"
"great empathetic dr., listens to everything and cares"
"Extremely confident in the care I receive from the doctor & the Monter Center." "The conversation and examination I had with Dr. D'olimpio was one of my best experiences with a medical professional ever. 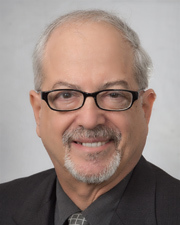 knowledgeable, caring and a natural ability to connect with his patients and address their concerns." "There should be an "excellent" category. I would rate my doctor "excellent" in all categories!!!" "Dr. D'Olimpio takes his time with me. He listens to my complaints and he gives suggestions. He also asks me about my life outside of my diagnosis." "Dr. D'Olimpio & Elizabeth are the best." "I have great confidence in Doctor D'Olimpio and his assistant. And I am very grateful." "Dr. D'Olimpio is very patient, professional and kind. Very through and always easy to talk to. " "Dr. D'Olimpio helped me through a very dark place in my life. I can't say enough of him. My dark place wasn't even medical it was mental. It's people like him make you aware goodness exists. 7. Keeps it simple where you understand. 9. Extremely. 10. Did. " "This doctor is such a great man. Whenever I need something from him he and his staff always get it done. He is definitely a doctor, you can tell others about him. " "Excellent doctor understands, and listens to problem dealing with at time of visit." "Dr. D. sat down to talk so I had the feeling he was listening and that I would not be rushed." "Both the doctor and the nurse practitioner Liz were informative and interested in resolving the pain." "I'm always confident that my experience will be helpful and my concerns will be addressed." "Very friendly knowledgeable and compassionate. I felt at ease immediately!" "Dr. D'Olimpio is a wonderful and caring clinician." "I believe Dr. D'Olimpio is the greatest, most compassionate, most knowledgeable doctor I have "ever" known! He should be the head of any hospital or organization - not just an employee!" "Total trust & great care! Have recommended him to others! Trust him to everything! #8. + plus." "As a specialist, I find Dr. D'Olimpio far and above other specialists I've seen." "Caring and knowledgeable about my pain management and new ways of treating my pain. Also very personable -"
"Dr. "D." is the best." "Dr. D'Olimpio is an excellent doctor and wonderful person." "Dr. D'Olimpio is a first rate care giver -"
"Dr. D'Olimpio always is very concerned and caring." "Dr. D'Olimpio's manner and relationship with me is truly above description. he is a gem." "One day my husband found me crying and e-mailed the doctor. Dr. D'Olimpio called him to speak as soon as he saw the e-mail to calm him down and also me." "Dr. D'Olimpio is a very kind & excellent physician and is very knowledgeable & caring to his patients." "All doctors in the _____ Center are excellent." "Knowledgeable & wonderful doctor, great person, unusual combo with a Dr. that has much humanity and very caring. Always goes the extra yard." "Dr. D'_____ is a very caring and knowledgeable clinician. He listens to my needs and is up to date on advances in my disease."